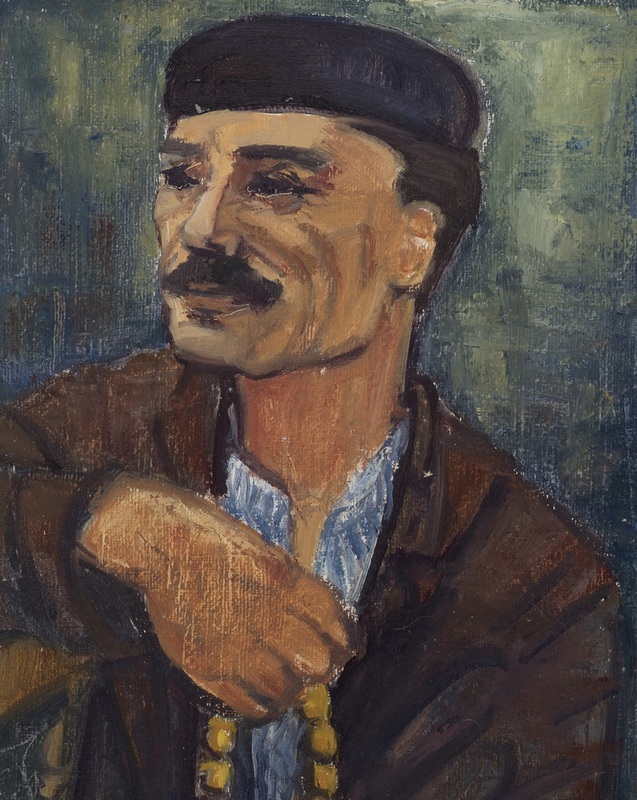 description A half-length portrait of a man with a moustache wearing a black cap, brown jacket and grey collarless shirt, holding yellow 'worry' beads (common in Greek and Cypriot culture) in his right hand. He faces the left and appears to be smiling. 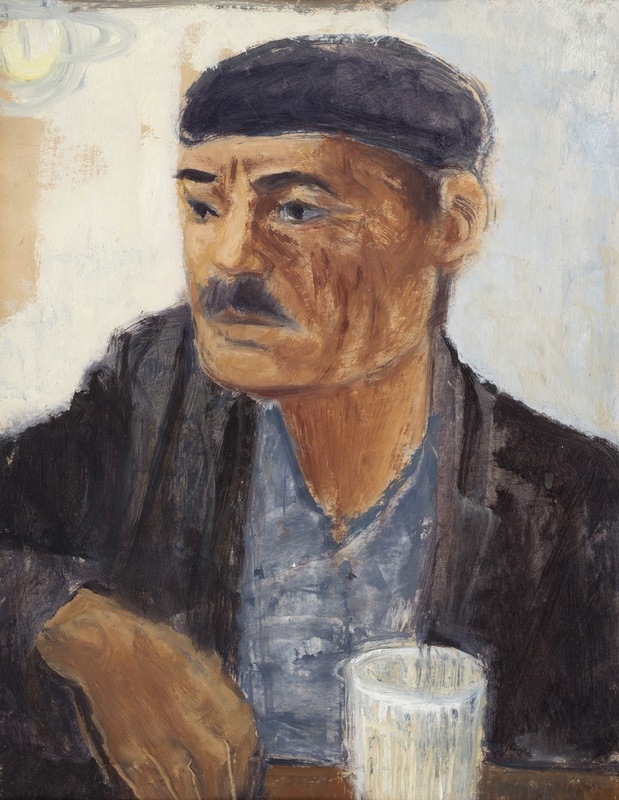 The work was made during the artist's visit to Israel in 1958. The same sitter appears in 'Man with Glass'.